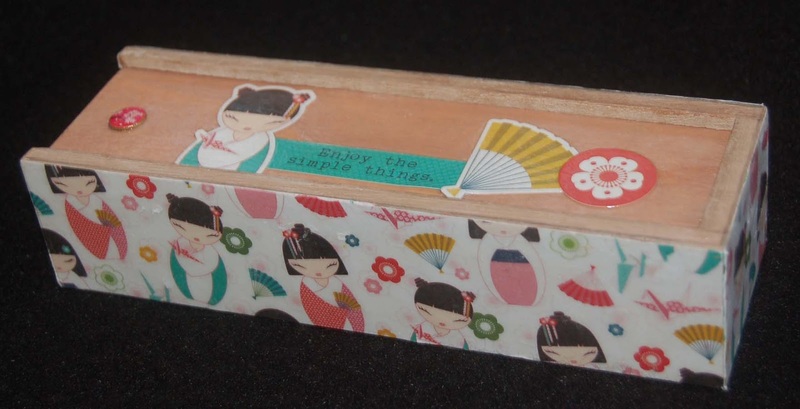 I discovered a really cool sliding wooden box at HM Ben Franklin Crafts. 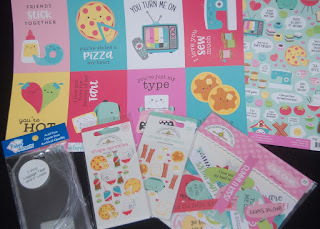 I decided it would make a wonderful Girl's Day treat box that could be used as a pencil/pen box after the goodies were eaten. It was super simple to trace the sides of the box onto a sheet of 12x12 Paper Crane Collection, cut them out and glue them to the box. To make the card stock on the box water resistant I painted the sides with Glossy Accents. For the sliding cover I adhered some of the stickers from the Paper Crane Collection and coated them with Glossy Accents. The box cover has a small depression for a finger pull but I chose to glue a thumbtack head (from my stash) in the depression to serve as a decorative button to pull the slide cover open. Oh yes, the cover was a yellowish color that didn't match with the decorative paper so I stained the cover a pinkish color. I filled the box with some individually wrapped arare. The un-decorated box is a Sierra Pacific product which was unbelievably priced at only $2.99! I'm going back to BFC to get more boxes because I love the style and want to use more of the pretty Asian print papers. See you at my favorite craft store! These are not puny (small) luggage tags. 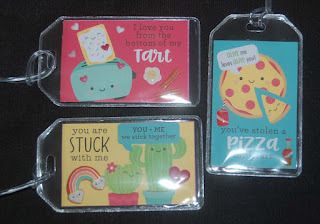 They are PUNNY (funny puns) regular sized tags made from the mini Valentine cards cut from a Doodlebugs Design 'So Punny' 12x12 card stock that I purchased at HM Ben Franklin Crafts. 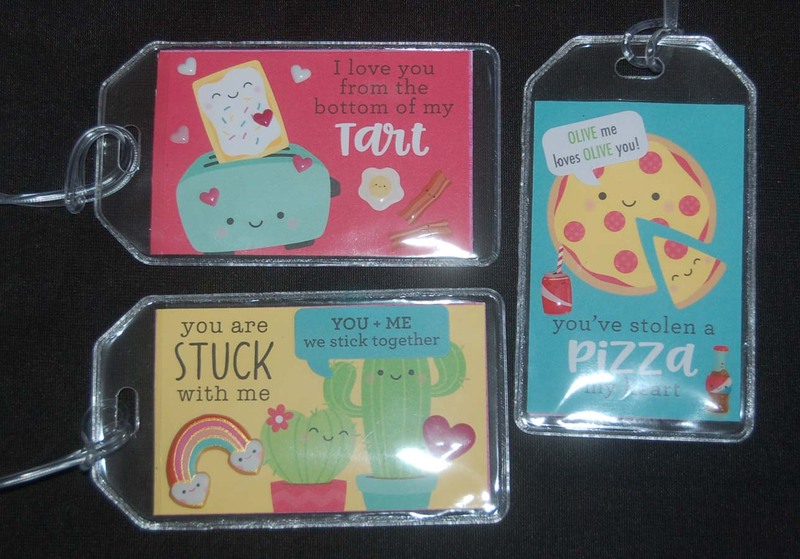 I thought these tags could be given out on Valentine's Day or any time as a little surprise gift. It was easy to trim the cards and add a few Doodlebug Designs epoxy stickers and 'Chit Chat' die cut sentiments. The blank luggage tags are Paper Accent products that I bought at BFC. 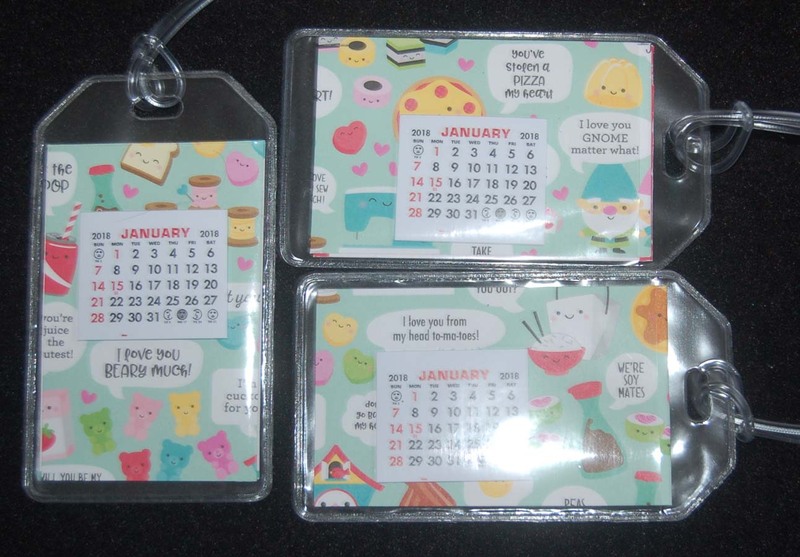 If you still have extra calendars, you can add them to the back of the tags. You never know when you will need to know the date while traveling. ...wink****wink*****! 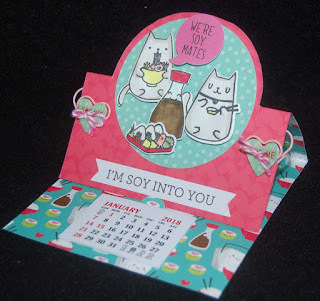 Even though Valentine's Day is over, I'm still enjoying crafting with the Doodlebug Designs 'So Punny' 12x12 card stock papers. This time I incorporated them into checkbook covers (plastic ones from my stash...not sure if BFC has them in stock any more). 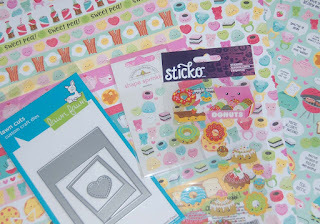 It was simple to cut the paper to fit and lots of covers can be made from just one sheet of card stock. Sorry for all the glare in my photos. 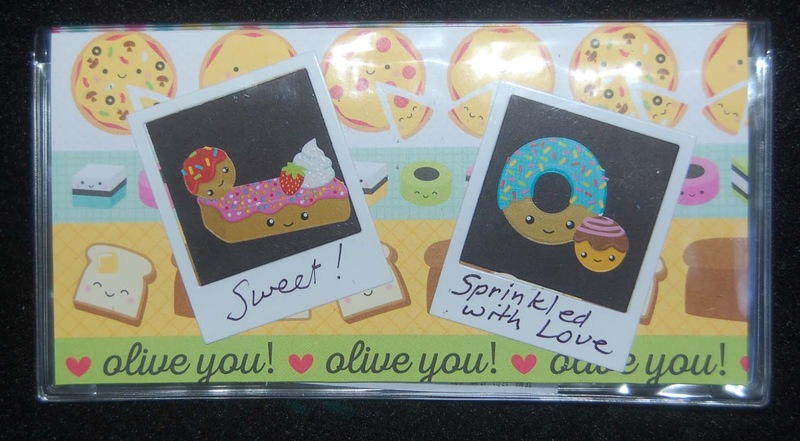 It was my original intent to make mini Polaroid photos using the Lawn Fawn die and real photos. Because I am not sure who will receive these checkbook covers I decided to make mock photos using Doodlebug Design and Sticko stickers. I wrote on the mini Polaroids as we did in our old photo albums...wish I had better handwriting. Maybe for future checkbooks I will type the sentiment...but then it wouldn't look realistic would it? 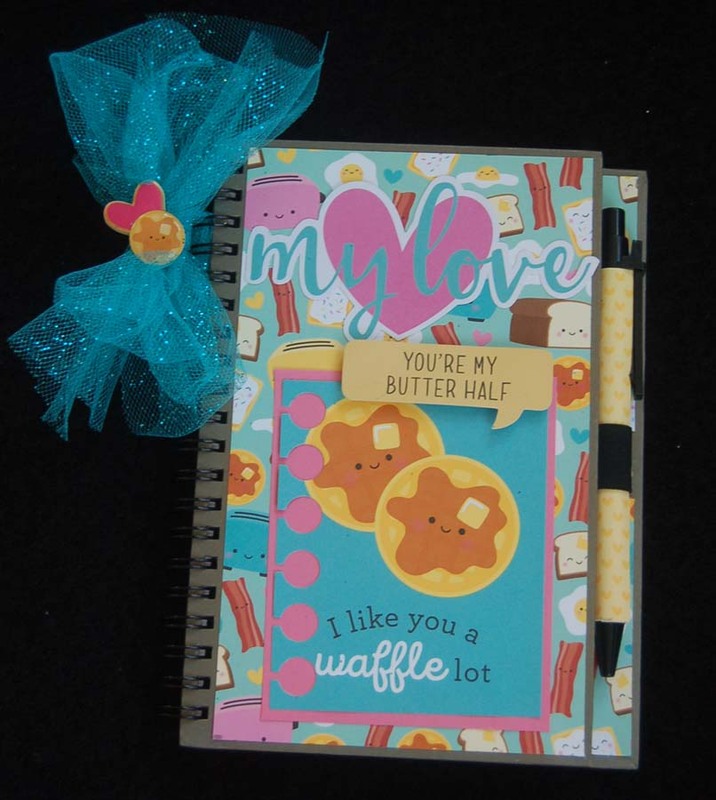 I loved my last posted project so much I decided to create another notebook this time using the waffle emoji Doodlebug Designs 12x12 card stock purchased at HM Ben Franklin Crafts. The notebook was another damaged (Sierra Pacific) one from my ancient stash. Again, I used the Paper Smooches die to cut out the waffle mini card and added a piece of pink card stock behind it for contrast. 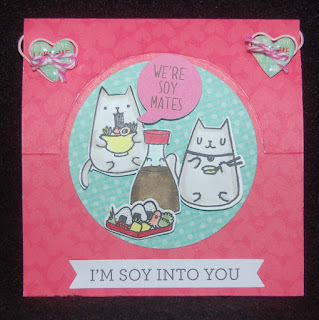 The 'my love' and 'you're my butter half' sentiments came from the DD 'Chit Chat' die cut package. 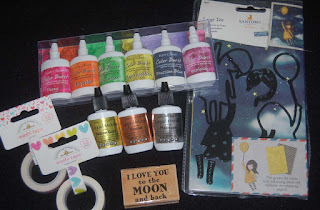 The glitter net ribbon from BFC was embellished with resin stickers from DD and Crate Paper. 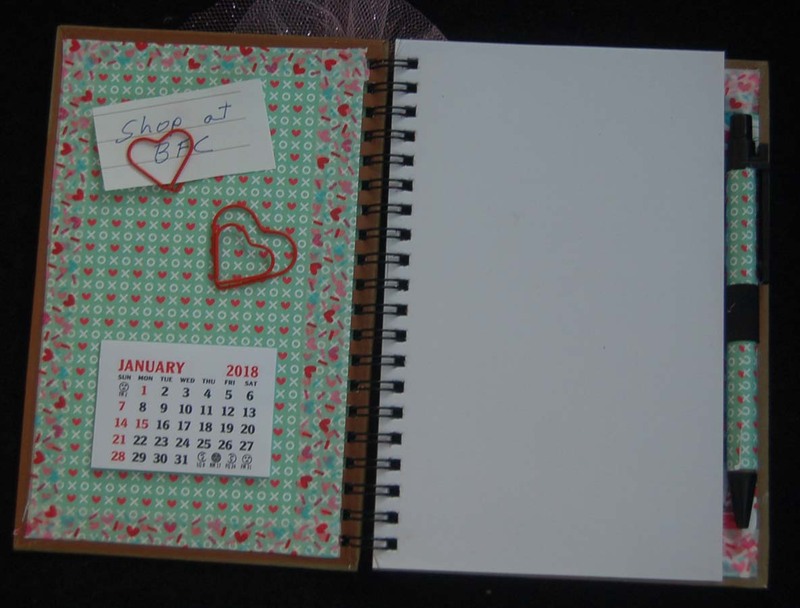 I applied Doodlebug Design washi tape (emoji hearts) and glued down the heart paperclips before adding the Vippie calendar. Okay, where else can I stick a calendar? Check this site again to see where I put the next one....LOL! 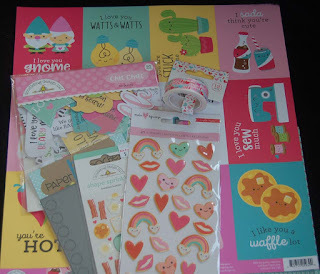 I'm so in love with this year's Doodlebug Designs Valentine 'So Punny' 12x12 card stock papers. I guess it's the cute emoji designs and cleverly worded sayings that really remind me of the Valentine Days of my youth. When I came across some sun-damaged Sierra Pacific notebooks with pens (which I've had in my stash for years), I knew that I could turn them into something special with little effort and the DD papers. 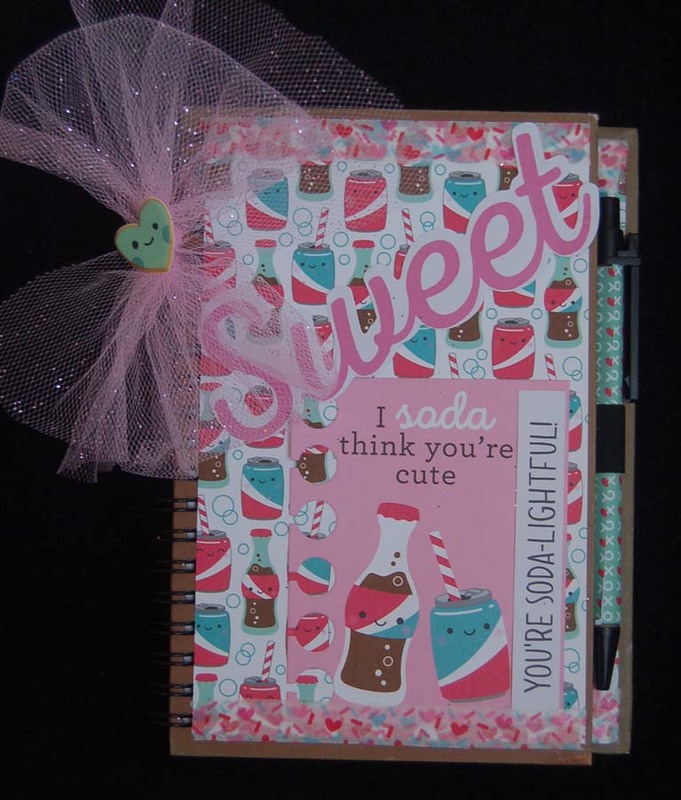 I chose the soda design card stock and simply cut pieces to fit the front, inside and back of the notebook. 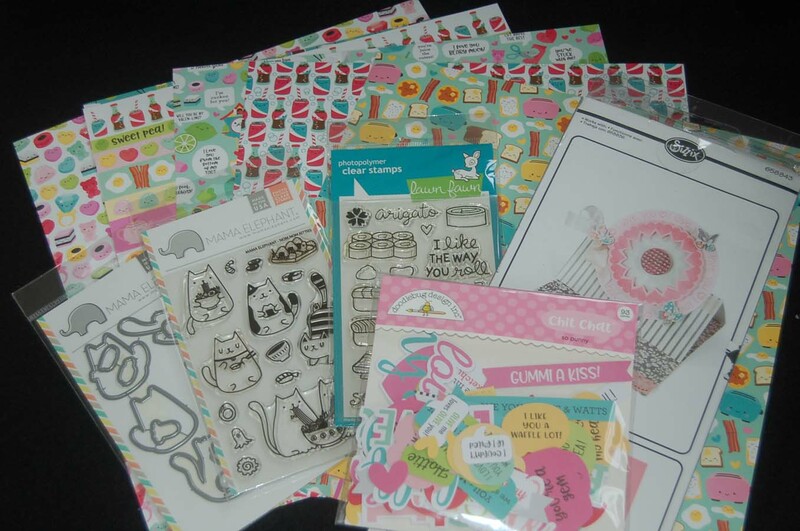 The Doodlebug Designs papers were purchased at HM Ben Franklin Crafts. One of the sheets had small rectangles of designs resembling vintage Valentine cards so I cut out the soda one using a Paper Smooches 'Paper' die. 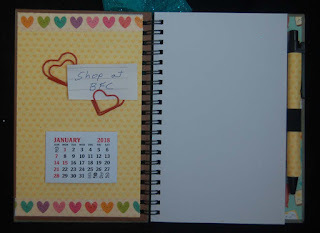 I really like the holes on the side which remind me of folder paper and seem to match the spiral notebook. The large 'sweet' script and the 'You're Soda -Lightful' came from a Doodlebug Designs 'Chit-Chat' die cut pack that I bought at BFC. The pink bow was made from glitter netting that is sold on a ribbon roll from the BFC wedding/wrapping department. 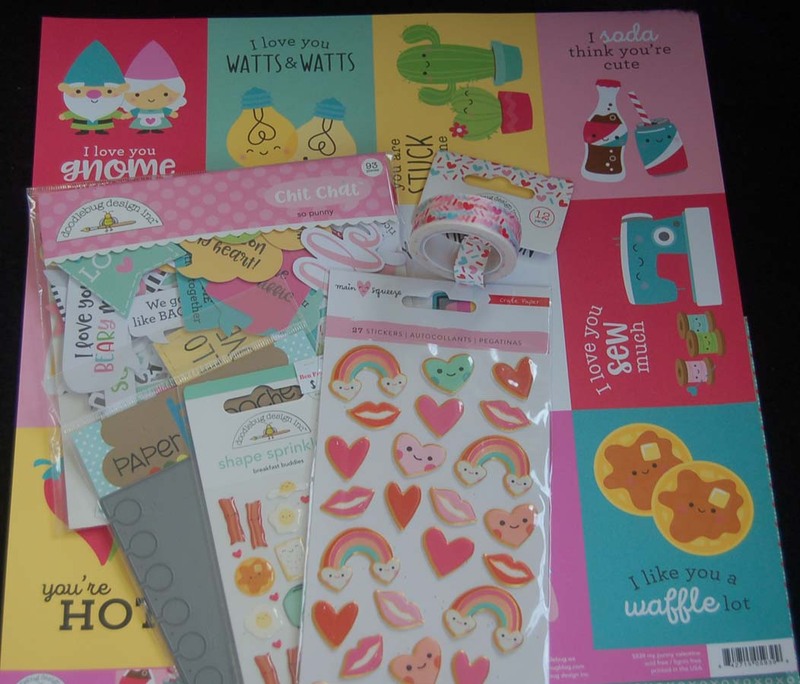 The little happy face heart glued to the bow is a Crate Paper product. On the inside of the notebook and around the pen I taped the backside of the soda design card stock and added some Doodlebug Design washi tape (same design used on the front). 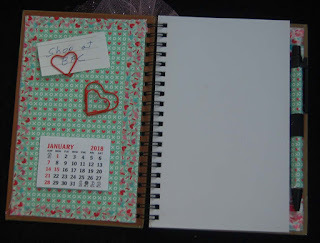 The heart-shaped paper clips (from my stash) were glued down with 1-2-3 Beacon glue and of course I HAD to add a mini calendar. This project was easier to decorate than I anticipated and turned out better than I expected so it was definitely a WIN-WIN and I am HAPPY-HAPPY! Recently, I received a Santoro die set. I decided to use it to make a birthday card for my sister. I thought it was the usual die set that I would use to cut out stamped images, however, this die set was designed to cut out parts and paper piece them together. 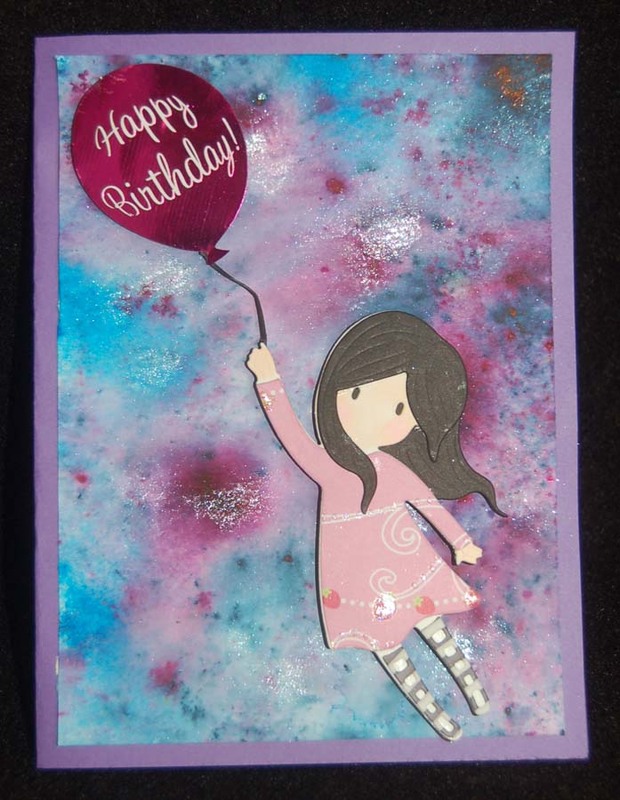 It was fairly easy and I could use my own patterned paper for the dress so it would match the background of the card. I'm still experimenting with the Color Burst powders and Liquid Metals so the watercolor paper background turned out darker than I wanted it to be...oh well, I'll keep playing. 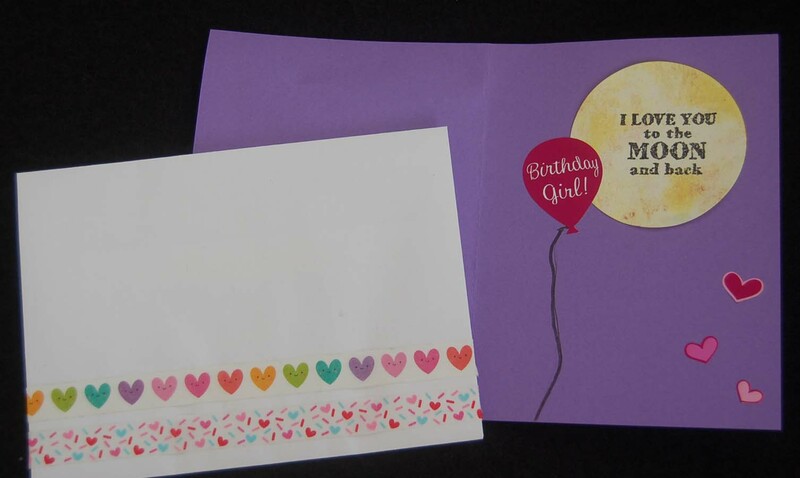 Metallic Sticko balloon and heart stickers were used inside and outside the card. The moon was colored with yellow metallic liquid and stamped with a Studio G stamp. 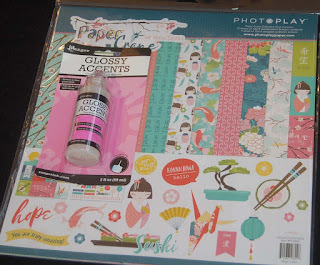 To pretty up the envelope I added Doodlebug Designs washi tape. 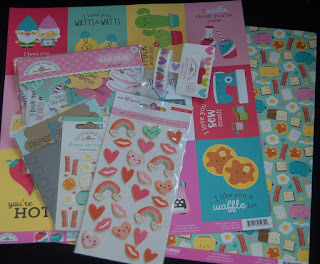 I hope my sister will like her birthday card....she's lucky to have a b-day so near to Valentine's Day...I can find so many cute heart shaped items for her! This card base is actually the reverse of the previously posted calendar card. Silly me, I cut the card base with the pattern side upside down so I decided not to waste the card stock...waste not ,want not! I just folded it inside out and designed around the mistake. 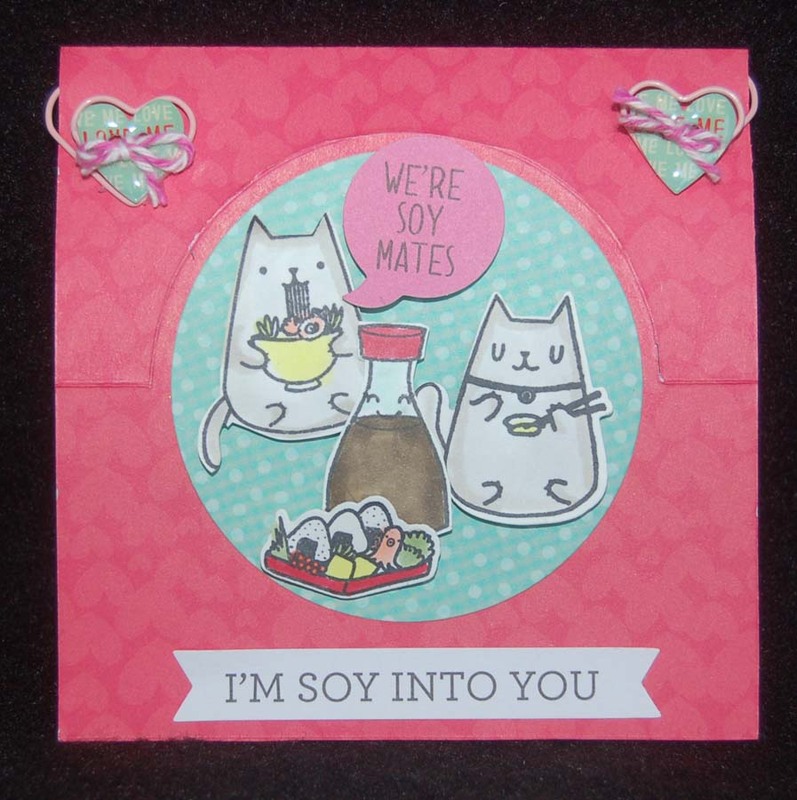 To fit with the soy and sushi theme, I combined the Mama Elephant Nom Nom Kitties stamp set and dies with the soy bottle from the Lawn Fawn's 'Let's Roll' stamp set. 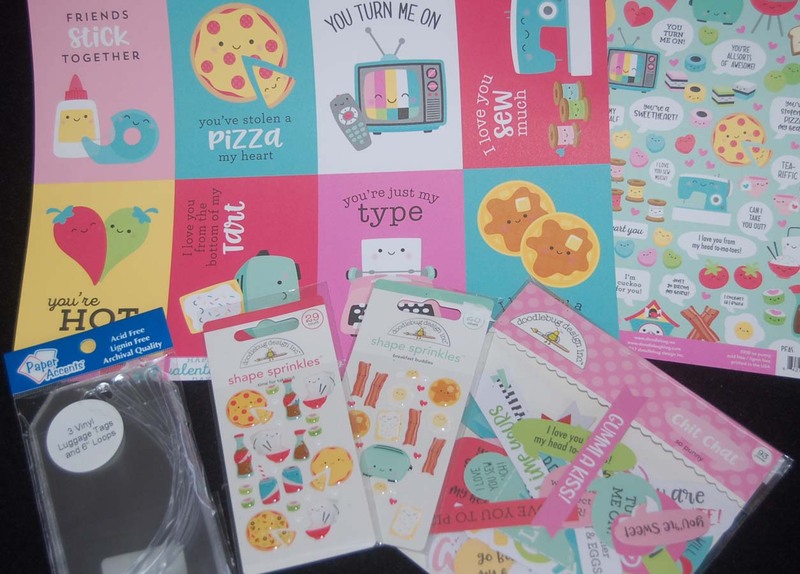 The words on the card came from a Doodlebug Designs 'Chit Chat' die cut package that was sold at HM Ben Franklin Crafts near the 12x12 Valentine papers. The heart-shaped paper clips are from my stash of Valentine stuff. 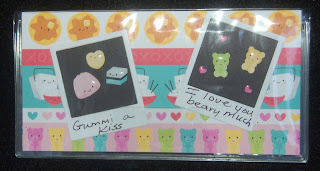 I decorated the clips with epoxy heart buttons also from my stash....I love heart shaped items! 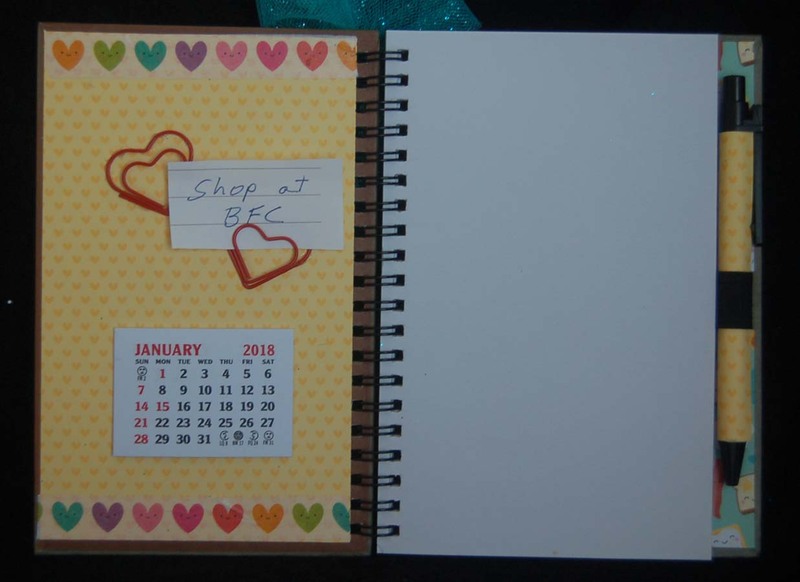 Notice how the clips can be used on the card front for decoration and then moved once the card is propped up to show the calendar. I think the clips will be good for holding little notes or reminders. Okay, that's it for the saved calendar card....nothing wasted!